Like Body Piercings? Meet some of the craziest people who are not afraid of transforming their bodies into a nailing board. 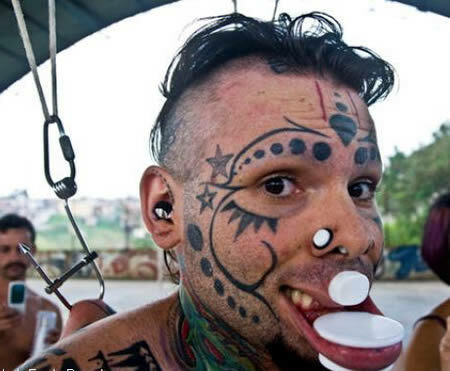 One of the most asked-about members of the BME modification community is “Fishmaul” (”Fishmouth”) or “Zygzag”, who is said to wear massive plugs in stretched cheek piercings. On March 04, 2006, Kam Ma spent 7 hours and 55 minutes being pierced by Charlie Wilson at Sunderland Body Art in the UK. 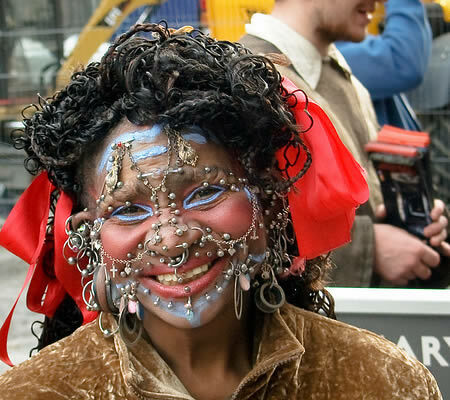 When the world's longest body piercing session was over, Charlie Wilson had pierced Kam Ma a record breaking 1,015 times, all without the use of any anesthetic. 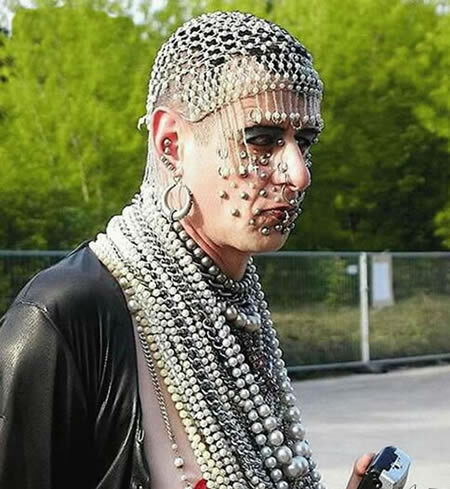 Most body-pierced woman in the world. 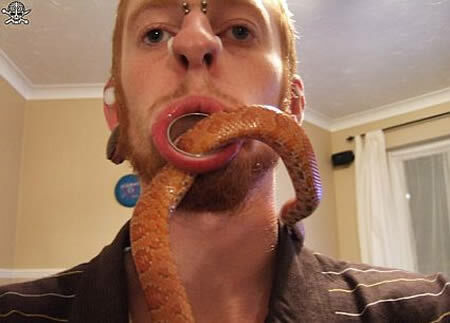 Brent Moffatt from Winnipeg, Canada, pierced himself with surgical needles to set a Guinness record for most body piercings, in Montreal, December 13, 2003. 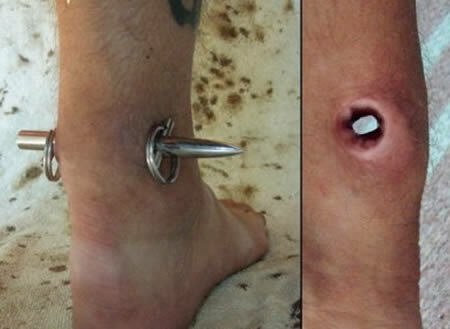 Moffatt inserted 900 needles into his legs to break his previous record of 702 piercings. In a bizarre publicity stunt, Dr Wei Sheng pierced 2008 decorative needles in his head, face, hands and chest in the five colours of the Olympic rings. 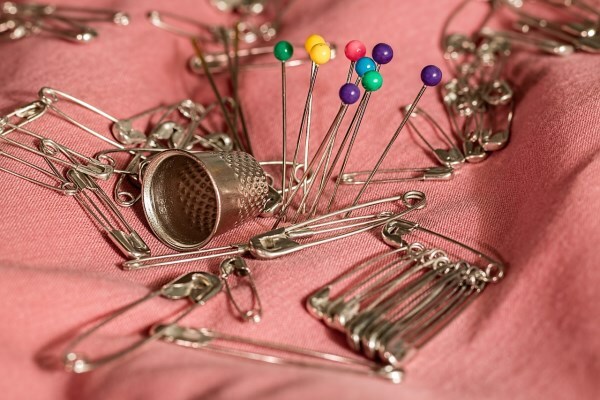 Dr Sheng's stunt was not the first time he had gained notoriety for sticking pins in his body. 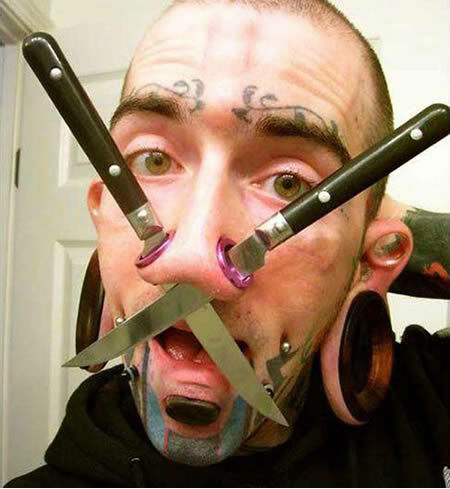 In 2004 he secured a Guinness World Record after piercing 1790 needles into his head. This guy is Rafa Gnomo, he must be a crazy guy to have the weirdest and craziest modified lips. Meet Bear Big Ears. 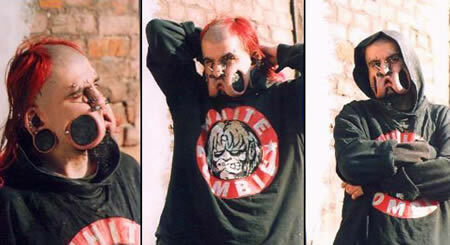 He has the world's largest stretched earlobes (5 1/2 inches!). Thanks, Susan.